Home / Blog / RSJoomla! wishes you a Merry Christmas and a Happy New Year! 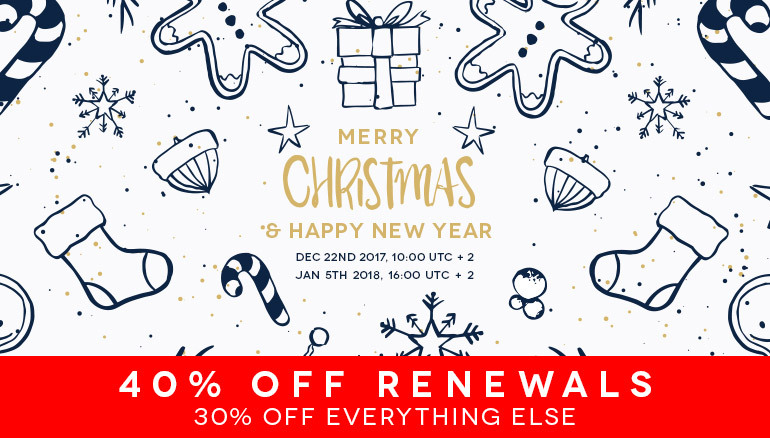 Take advantage of this seasonal promotion and save 30% off the normal price on everything when you make a new purchase or 40% off when performing a renewal.